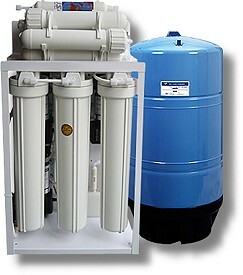 Small in size, but big in capacity, This free standing RO system is only 30 inch in height. but it can produce 600 gallons per day of pure water. 6 high rejection membranes, Each membrane is 100GPD at 100psi. 4. 6 pcs x 100GPD TFC membrane.